TM Electronics (TME) is a family run UK business, based in Worthing, West Sussex, founded by Managing Director Tom Sensier in 1990, with Sales & Marketing Director, Danielle Sensier joining the company in 2004. Everyone at TME is passionate about thermometry, from the enthusiastic sales team to the expert manufacturing and design staff. 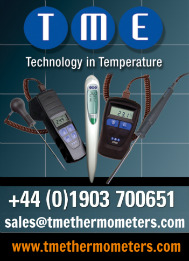 From its new premises in Goring-by-Sea near Worthing, TME designs, manufactures and supplies temperature sensors, thermometers and probes across all sectors, from food manufacture and hospitality, to building and facilities management, to industrial manufacturing and even scientific or laboratory testing. TME is a registered member of CESA and FPAL with a proven reputation for technical innovation and quality in thermal test and measurement equipment. 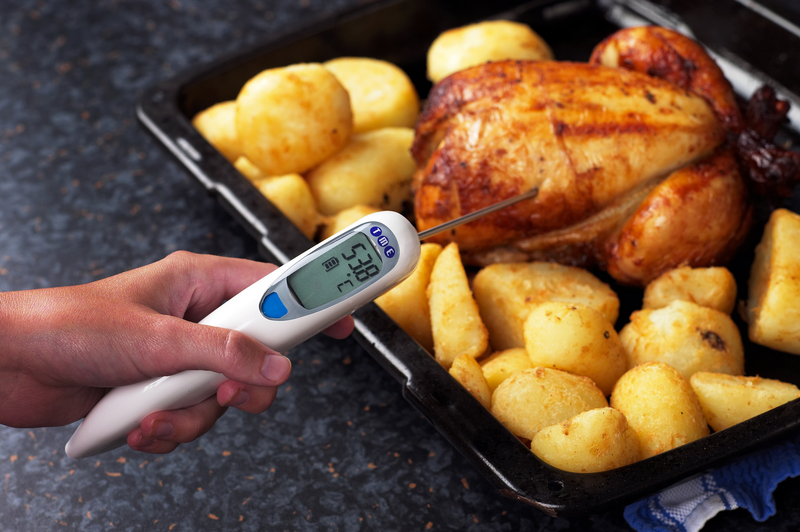 TME specialize in robust, waterproof, handheld thermometers and probes that are ideal for a wide variety of applications, including: food safety, water temperature monitoring for legionella risk prevention, heating, refrigeration and ventilation. 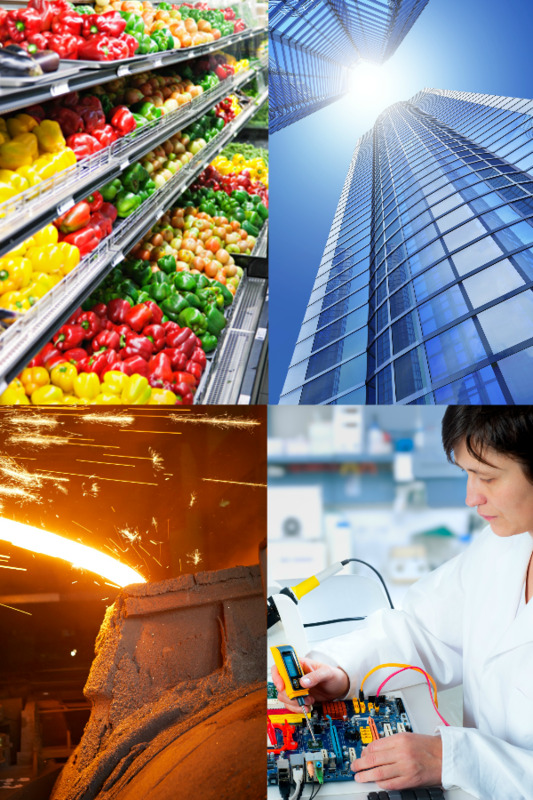 TME’s extensive range of easy-to-use temperature measurement instruments have incredibly high accuracy, strong, functional design and robust manufacture. 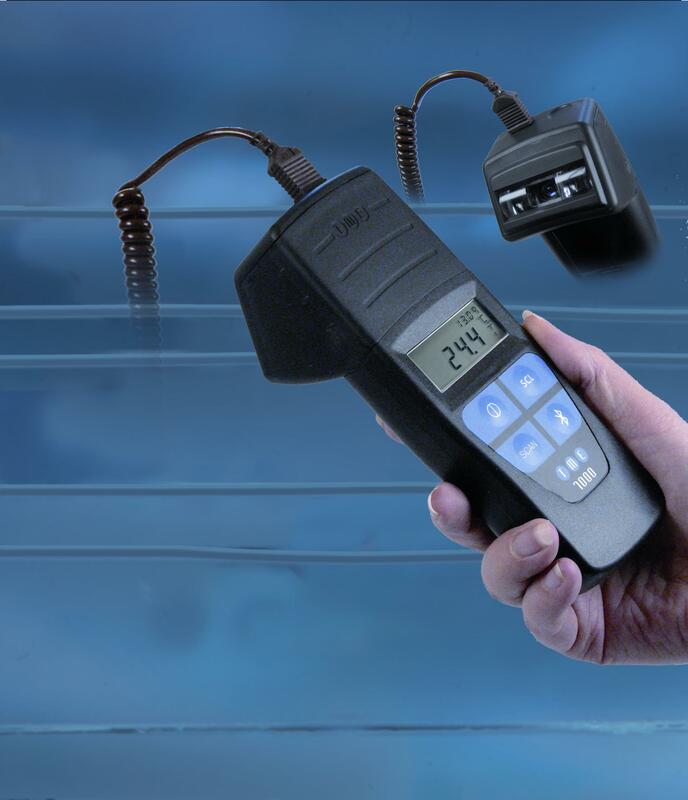 With a long held reputation for innovative temperature equipment that combines high accuracy and efficient ergonomic design, TME have developed significant improvements in temperature measurement and recording – raising performance and driving down costs. The MM7000 ThermoBar Scan Barcode Thermometer: Now with user set alarms that allow safety managers to set alarm values at chosen temperatures that relate to specific items or locations. This provides paperless recording for due diligence, as well as alerting staff to critical temperatures at the point of measurement to reduce risk and protect stock. The unique barcode function records not only temperature, time and date of the test but also the individual identity of the product or appliance tested – from an individual plated meal to a walk in cold store. Data can be downloaded via either Bluetooth technology or, with the new MM7005, via USB port. The TC Wall Port: This thermocouple wall port allows remote measurement of a hard to access temperature point from up to 20m away via fine wires running from a pipe, water tank or cold storage unit. Simply plug in your thermometer for an instant reading – no need to work at height or dismantle boxing during spot checks. Great for preventing the spread of Legionnaires’ disease and the legionella bacteria. TME needle probes are manufactured with unique, super-fast ThermaSprint technology, which has an unbeatable 3 second response time – up to 10 times faster than average. Along with constantly working towards innovative new products and services, TME is also proud to offer a bespoke design service. 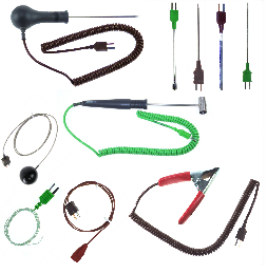 Over the last two decades this service has produced hundreds of special temperature sensors and instruments for a wide range of different applications, ranging from photocopiers to steel foundries. At TME, the emphasis is on ensuring that customers have the right product for their individual requirements. The friendly, enthusiastic sales team offer expert, no-obligation advice on problem applications, as well as working both with suppliers and distributors in all markets. TME offer a quality all round service, from helping customers choose the right product for each individual application, to providing first class after sales advice. 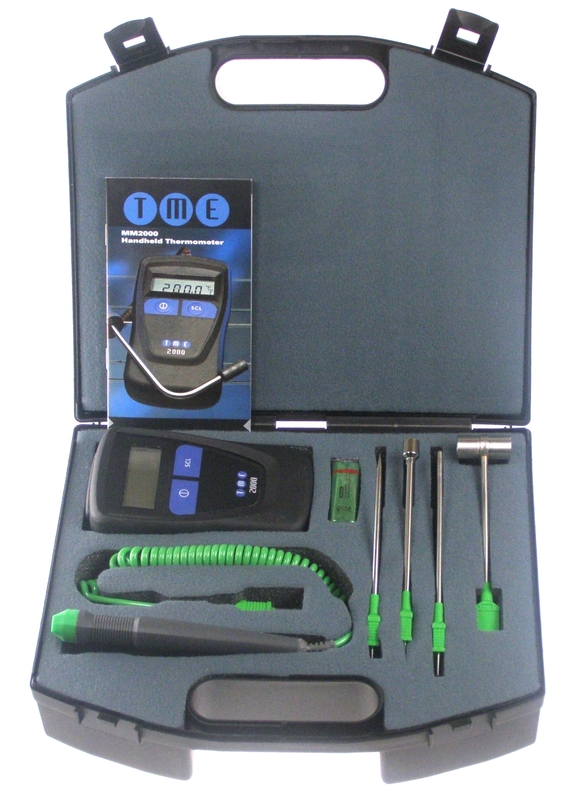 Ask a member of the sales team for more information on TME’s unbeatable repairs and calibration service, including Thermometer for Life, a unique maximum £35 repair/replacement guarantee on all MM2000 thermometers. A client base that includes many long term happy customers testifies to TME’s strong support system and efficient, well-made designs.